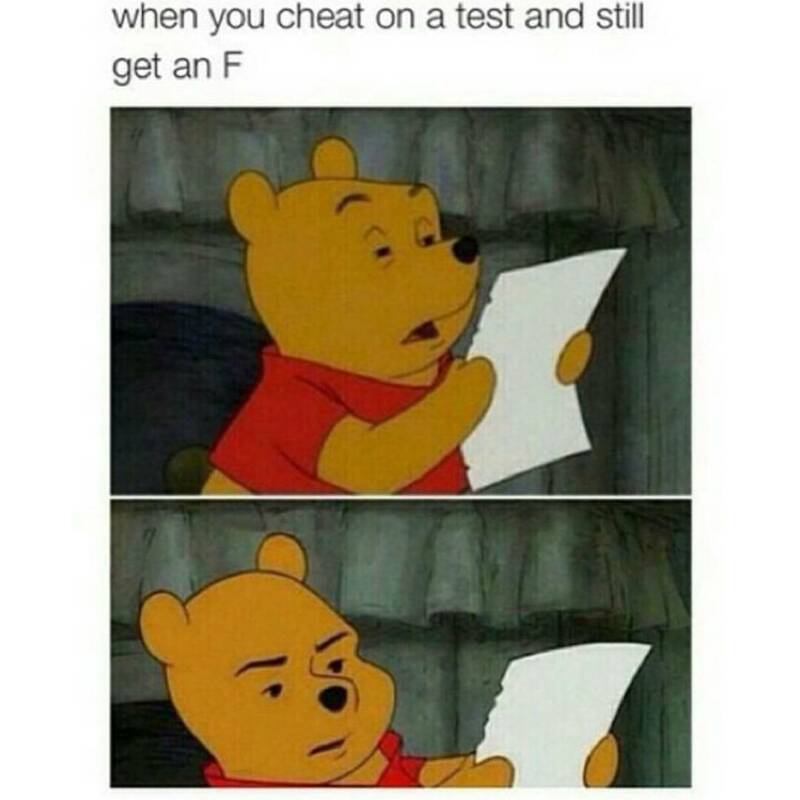 The 6 Funniest Things To Happen During An Exam - #3 is a Nightmare! In such a high pressure atmosphere, the occasional dose of crazy or funny is definitely more than welcome! An exam can be a tense and nerve racking atmosphere, so it’s always nice when something funny or downright ridiculous happens during it. 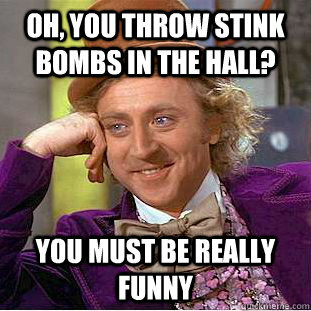 From stink bombs to cheaters getting their comeuppance, here are the 6 funniest things to happen during an exam. This girl absolutely bossed life when she found at that a fellow student had been consistently stealing all of her answers. Her plot to get him back went off without a hitch, and we can’t say we’re not impressed. This idiot in my high school chemistry class used to cheat off of a very smart friend of mine, and she finally noticed. On the next test she filled it out completely wrong, waited for him to go turn his in, then erased all of her answers and filled it in correctly while he watched in disbelief. This kid definitely didn’t seem to have his priorities in check, but then again, who wants to come back home to a flooded bedroom? I was taking a german test in high school when it started to rain. All of a sudden the kid next to the window screams “OH CRAP! It scared the heck out of everyone. He continued by saying “I left my window open at home!” and then proceeded to climb out of the window and run across the field to his nearby neighborhood. He returned less than five minutes later, said “false alarm” and carried o with the test! If you all stick together, they can’t disqualify absolutely everybody who’s sitting the exam, and this group of high school students were clearly very aware of that. This was a pretty genius and also stupid ploy. In our school we have something called the ‘Car Crash’. Basically, everyone gets settled down in the exam room and once everything has gone quiet, one person (chosen beforehand) will slam the entire top half of their body onto their desk and then everyone else in the exam room does it simultaneously a second afterwards. There is a huge noise and the examiners are just looking round completely bemused by what has just happened. Funniest thing I have seen throughout my entire school days. Now this is true commitment to the cause, and it has a pretty incredible conclusion from an enthusiastic non-student. My college roommate took a summer class to get his grades up and sometimes I would be bored and go with him. It was early American history, pretty interesting stuff, and the professor was solid so it wasn’t a bad way to kill a few hours. Any way, the third time I did this was actually an exam day. Now I had two options: walk out and force an awkward interaction along the lines of “yeah I know I’ve been here a few times and even spoke up in class but I’m not actually enrolled” or I could buckle down and take the exam. My roommate came back from class a few days later and told me “the kid not actually in the class” got the fifth highest grade. Someone let off like 5 stink bombs in the main exam hall and we still had to go in and do the exam. Row by row, we organised each person to drop their pencil on the floor so each examiner had to come and pick up the pencils. We weren’t allowed to get up out of our seats so the examiners/monitors had to pick them up, and they couldn’t tell us off once they knew what was happening. You might be mad that George Michael didn’t actually burst through the doors of an exam hall while singing his heart out, but you have to respect the pinch line of this delightful little story. In med school, there’s a component in the final exam where you have to see real patients as if you were a doctor doing a consultation with them. By finals day, exam fever was running high and we were all a little hyper. 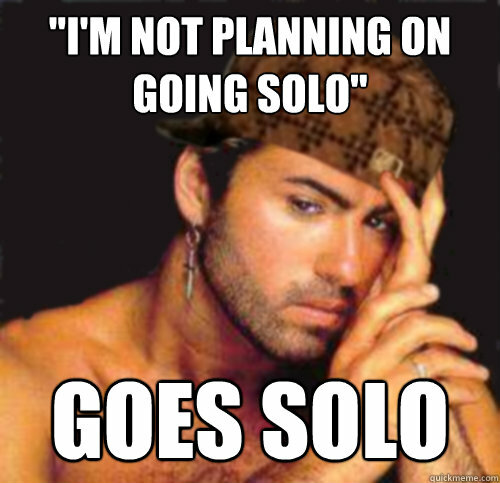 My friends and I decided to have a competition to insert the title of George Michael songs into our consultations. I didn’t really expect to be able to do it, but it made me smile going in. Fast forward to a consultation I was having with a nice elderly man. He was telling me all about his symptoms, and I was nodding sympathetically, as you do. ‘So, when did the trouble start?’ I asked him. Next article16 UK Chocolate Bars We Miss Like Crazy — Come Back #11! Can a graphic designer ever be so blind? Behold for you are to witness the worst Photoshop fails ever!